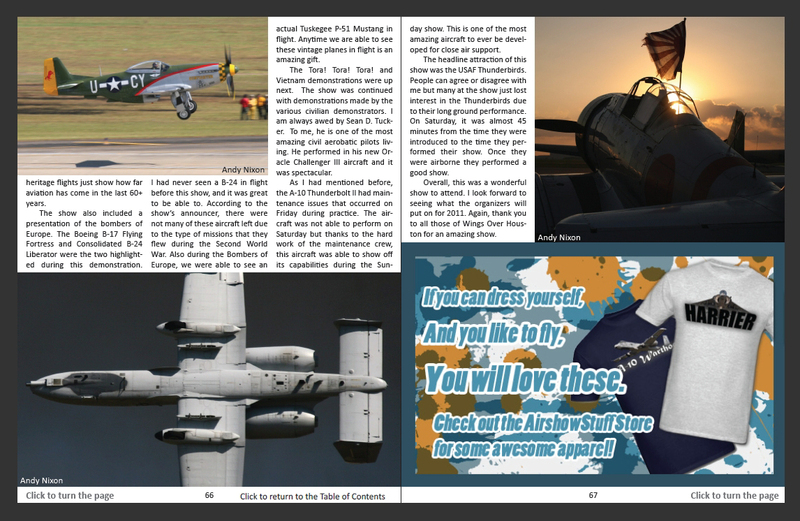 As one of the premier airshow and aviation publications online, advertising in AirshowStuff Magazine is a great way to reach potential customers! Our website gets over 20,000 visitors each month, and our November-December issue racked up 25,000 downloads in just the first two days, and 50,000 in the first two weeks! 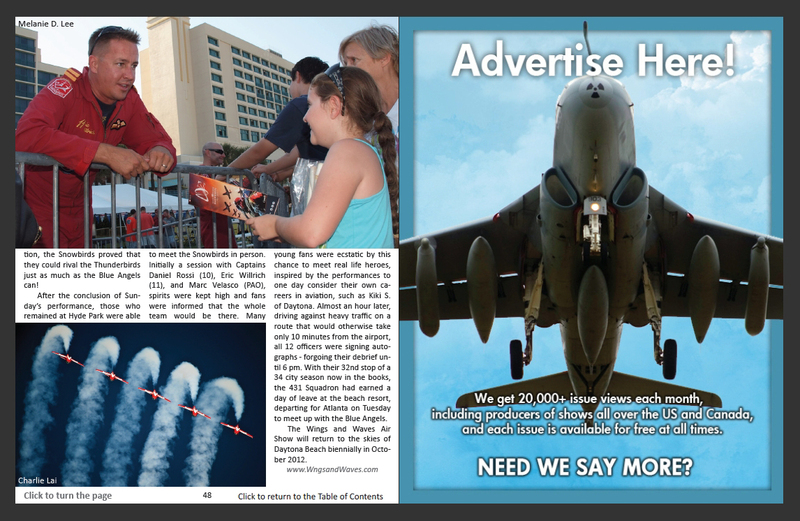 Many of our readers are airshow organizers, pilots, and other airshow and aviation professionals, so you know you will reach people with an interest in your message. The benefits of advertising online are significant. Our production costs are minimal, which allows us to offer a variety options at low cost. Rather than being on the shelf for a limited time, each of our issues is freely available at all times. Even months after their initial release, issues continue to reach thousands of new readers. You can also distribute your message to prospective customers as easily as sending a link. If you'd like more information on advertising, please contact one of our editors!